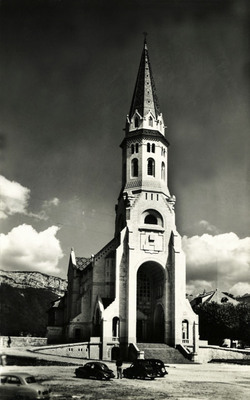 "Annecy - La Basilique de la Visitation"
One black and white postcard with a divded back. The postcard was published byTouring International Photo Agency and features a photograph by G. Rossat Mignod. .